What a refreshing change to hear something worth celebrating on the news today. Those who regularly read my Whinges will know that I despise those companies who exploit people in dire need. I also feel that the Church of England has lost its way in these modern times. So how brilliant was it to hear the thoughts of Justin Welby this morning? His idea is to aim to put Wonga out of business through competition. So, the Church of England would use the power of credit unions to help those in financial difficulty so they don’t have to turn to companies that charge exorbitant interest rates. Well, that gets my vote! The Church of England holds massive quantities of estate. Huge tracts of land in this country are owned by the Church, as well as some pretty stunning buildings. Financially, it must be pretty sound. If some of that money could be used to help those in need via financial help, personal advice and support and maybe even food banks, what an amazing thing that would be. I’m pretty sure that the Church would soon find itself becoming more popular rather than being viewed as some out-of-date fuddy-duddy organisation. I don’t agree with everything Justin Welby says but I think he is very much in touch with the world today and seems a lovely man. We need more people like him in the world. Meantime, in my lovely little ideal world, I wonder what the knock-on effect of such ideas might be? 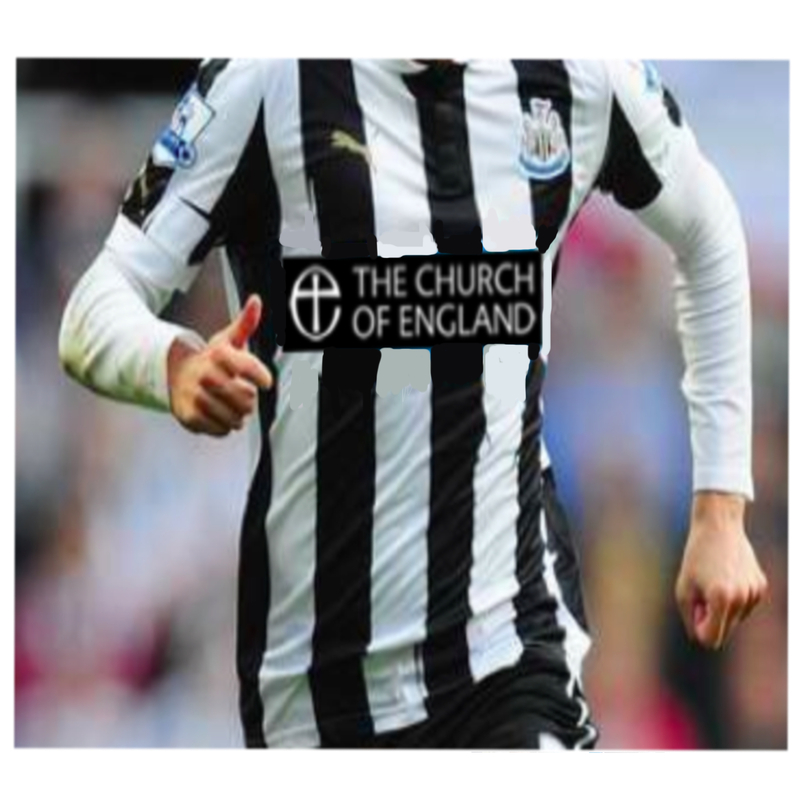 Could we be seeing football shirt sponsorship like this in the future? Now how good would that be?